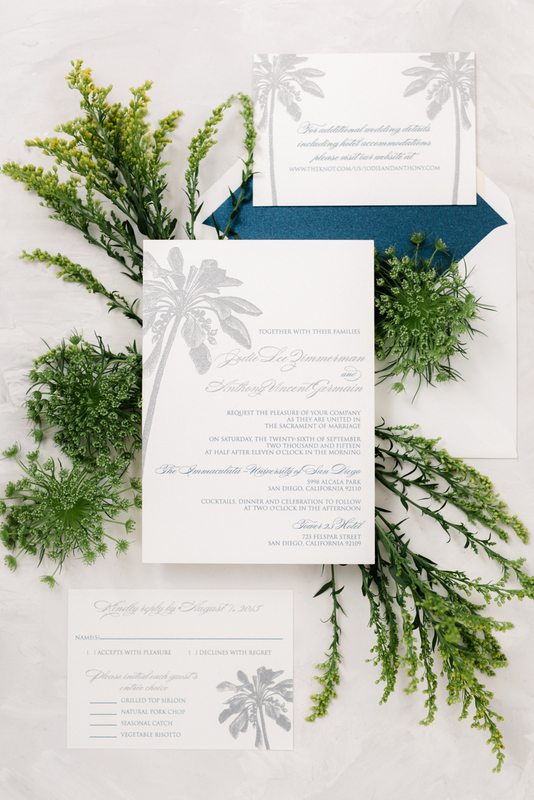 Metallic silver paired with navy blue is such a classic and elegant combination. 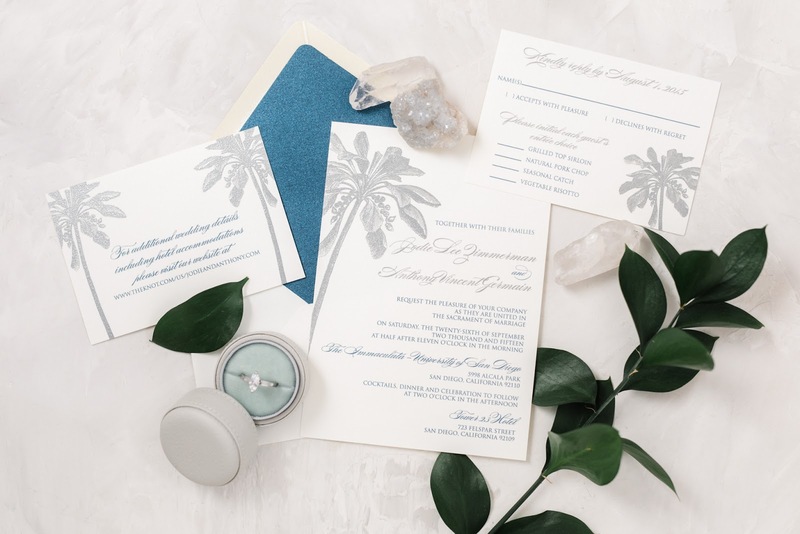 It may not be the first color combo you think of when planning a wedding near the beach... but that is exactly what makes it even more perfect. 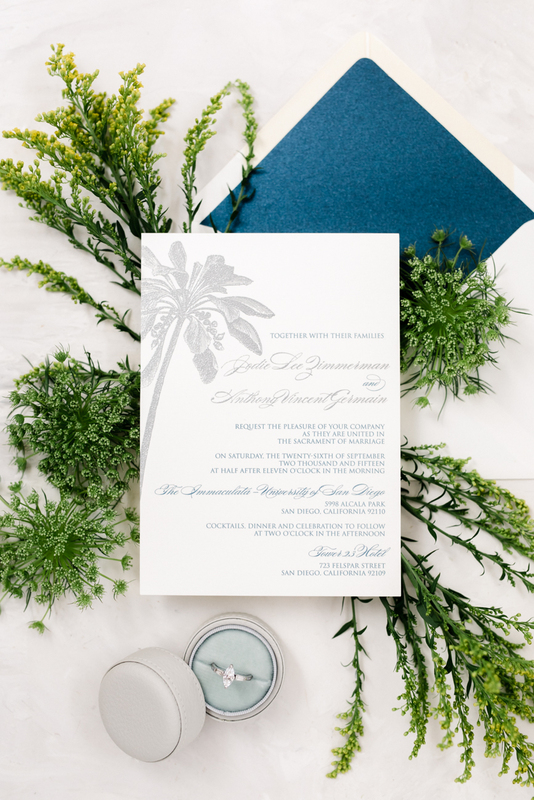 The timeless color combination brings this palm tree wedding invitation design to another level. A pairing of fun and sophistication. The thermography print allows the silver to actually have a metallic shine to it, which I absolutely love. We offer sample packages of all our designs so you can see our quality printing in person. Sample packages also come with paper swatches so you can also see which paper option is best for you.